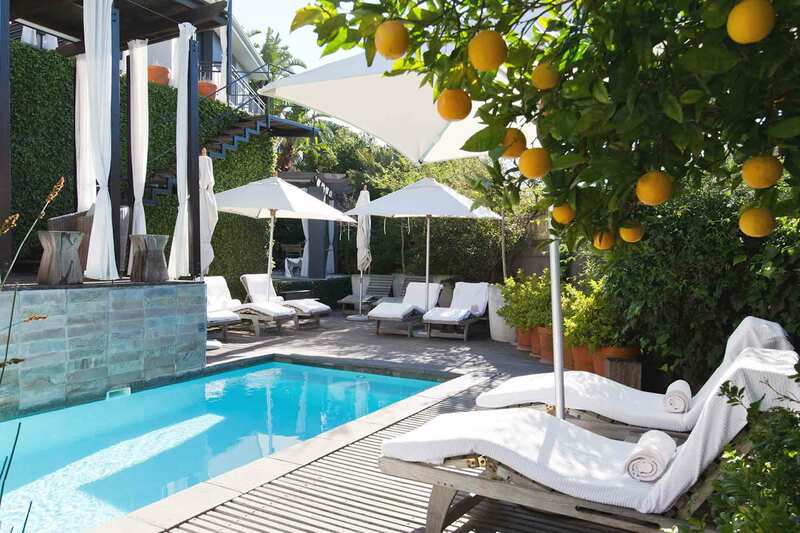 You’ll find this jewel of a property at the top of Leeuwenhof Street, one of the main roads in Cape Town, situated perfectly at the foot of Table Mountain and a just a short walk from all the action (and a drive from the beaches). We arrived with a very warm welcome, with all the luxury appointments we could expect “en plus”. Not to mention a lovely collection of art curated by the owner Chris Weir. Greeted by the manager, a handsome young gentleman called Austen (who incidentally looks like a model off the Armani runway), we knew there was a dedication to service here. In fact, everyone at the Kensington was attentive, charming and helpful. We had all the conveniences of a grand hotel, yet with private and personal touches. With just eight rooms, this was our perfect Cape Town sanctuary and we recommend it wholeheartedly.